Only a month on, what can a historian add? First of all the usual pleasantries. My household was completely hooked. It was a spectacularly successful event, generating excitement and enthusiasm, knocking down stereotypes, and creating international connections. According to the news agency TASS, 2.9 million foreigners visited the eleven cities hosting World Cup matches. They benefited from a relaxed visa regime, where buying a match ticket effectively substituted for applying for a visa. Just think: what if the Russian World Cup caused a radically new approach to international tourism. Imagine the goodwill among people if the Russian government unilaterally relaxed its visa procedures, if only for a time! Many countries, including the UK, might even respond by reducing their own awkward barriers on Russians who wish to visit! Perhaps a virtuous circle would follow. Is that a political point? As even the experts concede, political lessons from global sporting events are often without value. Issues surrounding ‘legitimacy’, ‘Potemkin villages’ and other catchphrases are little more than personal opinion or prejudice. Historians should have a higher standard. No doubt like many others, I have been inspired by the World Cup to revisit Robert Edelman’s award-winning history of Spartak Moscow. For Edelman, football and politics must be intertwined. But what could that mean in a communist dictatorship? In a recent interview, Edelman tells the winning story that his 1960s illusions about the Bolshevik Revolution did not survive his first trip to the men’s room during half-time at Spartak. But he makes a wider point as well. Edelman suggests that supporting Spartak could be an act of resistance against Soviet power. But this did not mean waving an anti-Stalin banner in the stadium. Instead it was a quiet statement about one’s own choices and individuality, about being part of a non-state collective — for how could a community of fans be part of the state? It could even on occasion be an implicit comment about about class, labour, and about who got to define the legacies of the Bolshevik Revolution. Resistance in the Soviet Union did not have to be political. It was, rather, a never-ending sequence of conversations and negotiations among citizens and between people and ‘power’. Many of my students would respond by saying that this is almost a definition of politics. I am not so sure. 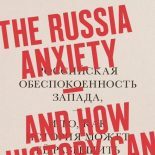 One of the fallacies of Russian history and contemporary commentary is that everything in Russia is political, that every word or gesture can be reduced to a political value. Even in the Soviet Union — even during the height of the Stalin period — this was not the case. It can scarcely be the case in Russia today. Sometimes a football match really is just a football match, and the value of a sports event really might be what it promises. After all, the most heartening pictures from this World Cup were of ordinary people from across the world encountering ordinary Russians. This entry was posted on August 22, 2018 by beyondthekremlin in Russia past and present and tagged Russia-and-the-West, Soviet life, sport, World Cup.